This massive industrial plant is known as the Shell Industrial Plant located in Waterton, Alberta in Canada. While in Waterton, Alberta it is fairly difficult to bypass this enormous industrial plant with its large towers and machinery as it covers a fair amount of land. 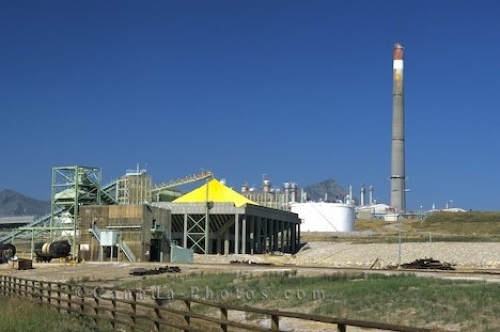 This is known as the Shell Industrial Plant where many workers are employed that keep this plant operating. Picture of the Waterton Shell Industrial Plant in Southern Alberta in Canada.